WESTHAMPTON, N.J. - A Jamaican immigrant who is the husband of a disabled U.S. Army veteran was arrested last week by Immigration and Customs Enforcement even though he has held a green card since 1997, according to a report from NJ.com. 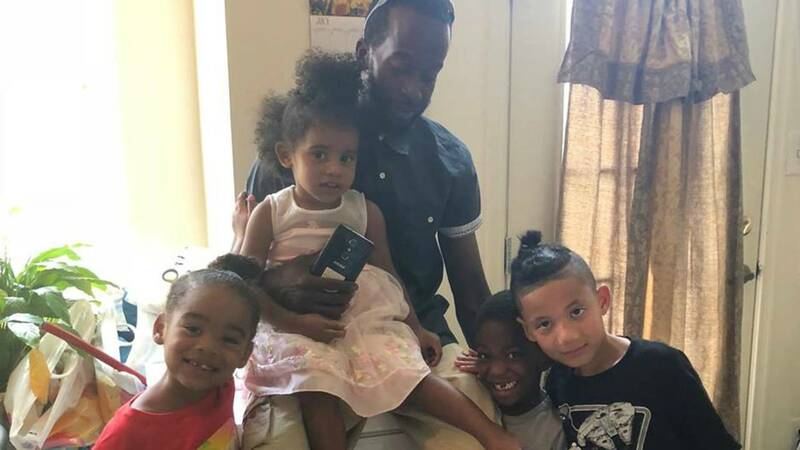 Dane Foster, a 36-year-old father of four, was one of 105 immigrants picked up in a five-day ICE sweep of New Jersey, the publication reported. "We literally just dropped our daughter off at daycare," his wife, Alexsa Foster, said in a Facebook video. "They came out of nowhere. They came down on us literally three cars deep and said they were going to take him." Dane Foster was picked up because of marijuana possession charges in the early 2000s and 2014, according to his attorney Afia Yunus. Foster was not jailed over the charges, but he was fined. Alexsa Foster says she comes from a family of military veterans and served for seven years as a mechanic in the U.S. Army and National Guard. Due to a fractured pelvis, she suffers from migraines and seizures that leave her unable to work and on disability. She says the lawn maintenance service that her husband ran was the main source of income for her and their four children. "This is not really what I fought for and signed up for when I joined the military. It's not what I thought this country could be," Alexa Foster said. A rally was held Thursday night in support of Dane Foster and the other immigrants arrested in the ICE sweep. A GoFundMe campaign to raise money for Foster's legal fees had raised nearly $3,500 as of Friday morning. Legal residents can be deported for breaking the law, but immigrant rights groups say this rule used to be rarely enforced for green card holders with minor convictions. The American Civil Liberties Union of New Jersey says that by targeting long-time residents with old or low-level convictions, ICE is terrorizing communities and breaking up families. ICE conducts targeted immigration enforcement actions in compliance with federal law. Dane Foster, a Jamaican national, is subject to removal from the U.S. based on his criminal history. He has been entered into immigration proceedings with the Executive Office for Immigration Review.